What's DAC Cable And Why Choose It Over Fiber Transceiver? ← What Is RJ45 SFP Module And How to Use It? Direct attach copper cable, short for DAC cable, is a kind of fixed high speed copper cable assembly. It consists of shielded twinax copper cable with pluggble connectors on either end with varying gauges from 24 to 30AWG: The longer the distance, the higher the AWG rating should be. It can be used to connect switches to routers or servers for short transmission distance. In addition, DAC cables are commonly available in several different categories: SFP+ DAC, XFP DAC, QSFP DAC and so on. Generally, according to the construction difference, the DAC cables can be classified into two types: passive DAC cable and active DAC cable. Passive DAC cables have no electrical components built into the cable assembly. Hence, it has the minimal power consumption of no more than 0.15w and generally for short reach up to 7m. Active DAC cables have signal amplification and equalization built into the cable assembly. Therefore, it allows a little longer transmission distance up to 15m and ensures better transmission quality. whereas it has a higher price and consumes more power around 0.5-1w. 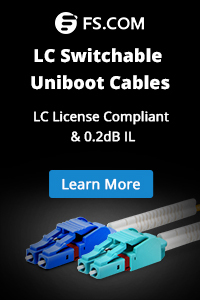 Why Choose DAC Cables Over Optical Transceivers? Less Power Consumption – Compared to optical transceiver modules, DAC cables, especially passive copper cables consume less power. Lower Price – DAC cables are less costly for they do not need patch panels or additional cables when connected to devices as optical transceiver modules. Simpler Deployment – DAC cable has only one component to be interconnected. 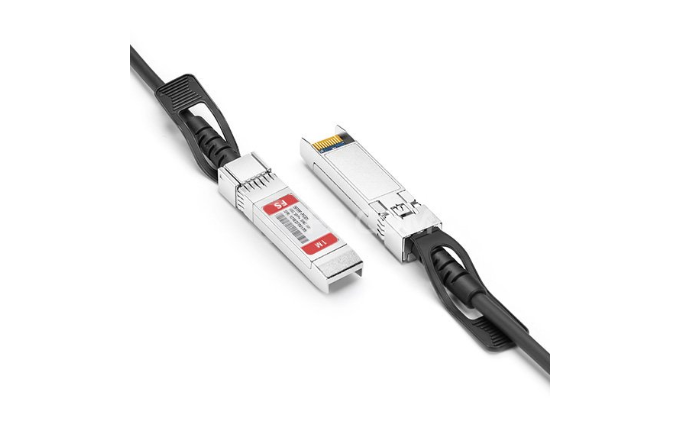 However, the optical transceiver has to be connected with more devices, which must be matched with each other. Besides, it is convenient for installers to conserve DAC cables, they don’t need to clean and inspect optical fiber before plugging cables. Where to Use DAC Cables? 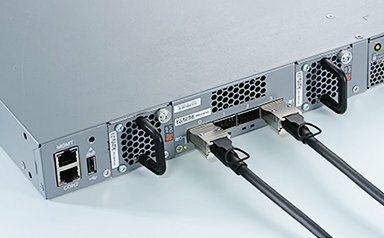 ToR/Adjacent Racks – Passive and active DAC cables both are suitable for shorter ToR or adjacent racks. Middle of Row – As long as the distance is no more than 15m, the active DAC cable may be the best solution in this application. End of Row – DAC cables are ideal for the end of row architectures as long as the distance is suited. According to the aforementioned details, we know that there are two types of DAC cables, namely passive DAC and active DAC. 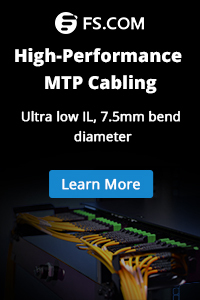 The former is recommended for the transmission which is no more than 7 m and the latter is suitable for 7-15 m. DAC cable is an ideal high-speed solution for data center interconnections. And all the DAC cables mentioned above are supplied in FS. If you need to know more details, please visit www.fs.com. This entry was posted in Direct Attach Cables and tagged aoc cable, dac cable, direct attach copper cable. Bookmark the permalink.